Mark Safarik was one of the most respected members of the Federal Bureau of Investigation’s elite Behavioral Analysis Unit, during which time he established himself as an internationally recognized expert in the analysis and interpretation of violent criminal behavior. Mr. Safarik’s law enforcement career spans over 30 years, during which time he worked in all levels of policework, from working patrol as a beat cop to investigating murders as a detective to performing on-scene forensic services early in his FBI career. But the defining moments in Mr. Safarik’s professional life came during his 23 years with the FBI, where he spent over half that time as a criminal profiler. Mr. Safarik led the consultation efforts on many high profile national and international violent crime cases and lectured at numerous foreign police forces around the world, sharing his expertise in the analysis of homicide and complex crime scene behavior. Mr. Safarik has a graduate degree from Boston University and is an adjunct faculty member at Boston College. He is a lecturer at the University of Pennsylvania, a faculty member of the Armed Forces Institute of Pathology and an advisory board member at the Wecht Institute of Forensic Science and Law, Duquesne University. He has conducted internationally renowned research on the sexual assault and homicide of elder females and was awarded the prestigious Jefferson Medal from the University of Virginia for this groundbreaking work. He was presented with the 2009 Silver Medal from The Spanish Society of Criminology and Forensic Science, the first non-European to receive this honor. He is a member of the highly respected Vidocq Society, a criminological group that donates its investigative resources to solving cold case homicides. He is well-published in several international journals, including the Journal of Forensic Sciences, International Journal of Homicide Studies, and Journal of Interpersonal Violence. Mr. Safarik has also authored chapters on violent crime in a number of professional textbooks. In addition to specializing in the careful and detailed analysis of violent criminals and their criminal behavior through crime and crime scene analysis, Mr. Safarik has reviewed and consulted on thousands of national and international crimes of violence including all types of homicides; serial, mass, single and multiple murders, sexual assault, assault with injury, extortion, false allegation of sexual assault, offender motivation and deterability, and equivocal death analysis. His expertise has been utilized by prosecutors and defense attorneys in both criminal and civil courts. Mr. Safarik has provided expert witness testimony throughout the United States on complex behavioral assessments in many high profile cases including the Spokane Serial Killer, the Bakersfield Mass Murder, and three California police homicides. The areas he has been asked to address range from issues related to crime dynamics to staging and undoing, as well as providing an understanding of what happened, and why. He has appeared on Dateline, Court TV, Forensic Files, MSNBC and The Discovery Channel to discuss his cases and analyses. 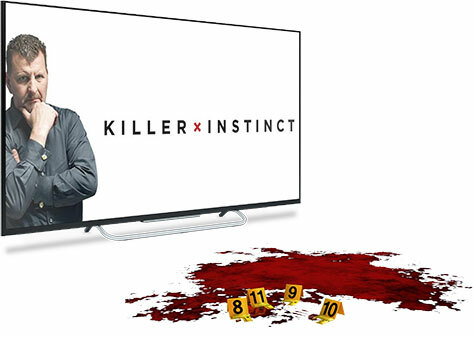 His television series, Killer Instinct, is currently airing on the Biography Channel. Since 2008 he has been a consultant for the popular television series CSI: Las Vegas and Bones. Mark has also been featured extensively in numerous Publications. Mr. Safarik is a highly regarded lecturer who has taught over 20,000 law enforcement personnel worldwide, from police chiefs to homicide and violent crime investigators, prosecutors, defense attorneys, judges, medical examiners, mental health professionals, forensic nurses, and academicians. Mr. Safarik currently consults with law enforcement agencies, attorneys, universities, writers, television networks, and foreign government entities.